A question for you: what is the first stitch every knitter learns? Well that's a bit of a trick question since there are only two possible answers, a knit or a purl, but if I was to answer that I suppose I'd say most people learn the knit stitch first. And now a 2nd question: can you name two stitch patterns using only knit stitches? This time there would be a few options to choose from, but here are two: if you were working in the round, you would probably be working in Stocking Stitch (or as they call it over here, Stockinette Stitch). However, if you were working back-and-forth on straight needles, then that would most likely be Garter Stitch. Every Row: Knit to end. Simple, easy, yet so versatile. Garter Stitch is a dense, compact stitch which produces deep areas of colour with a wonderful stitch definition and texture. 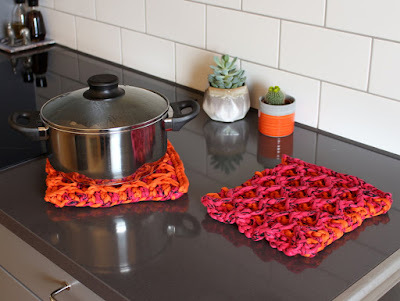 It can be worked all in one colour, but I think it really comes into its own when sections of Garter Stitch in different yarns are worked side-by-side. For example, in Anna's Patchwork Cushion, blocks of Garter Stitch in different colours co-ordinate to give a dynamic, modern result. Garter Stitch is also absolutely gorgeous when worked in stripes. For example, in the Winsford Stroller Blanket above, the pattern features bands in solid and two-colour stripes. This is a variation of Garter Stitch called Wide Garter Columns from our book, Reversible Knitting Stitches, and it gives a wonderful blending of the two colours used in the pattern. 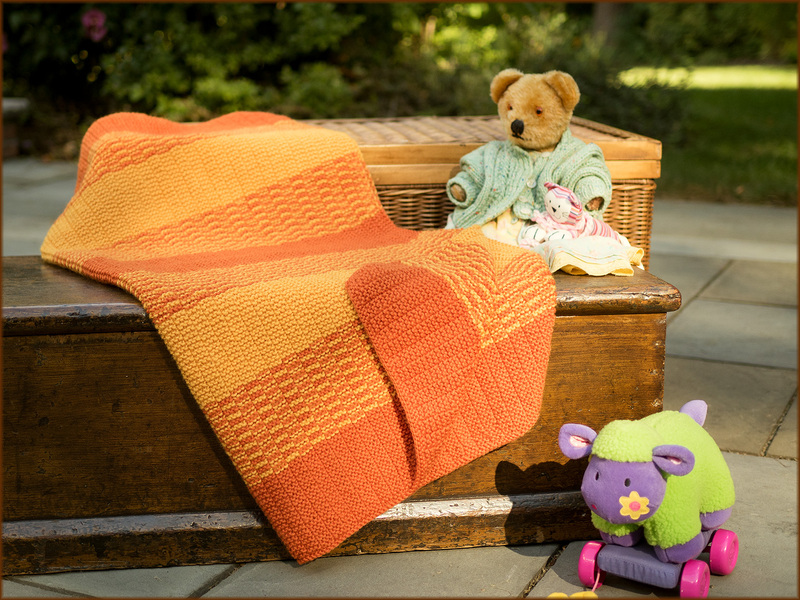 However, you don't need to work any variation of Garter Stitch for a striped pattern. At the top of this blogpost and in the photo above, you can see how well stripes work in the basic stitch. 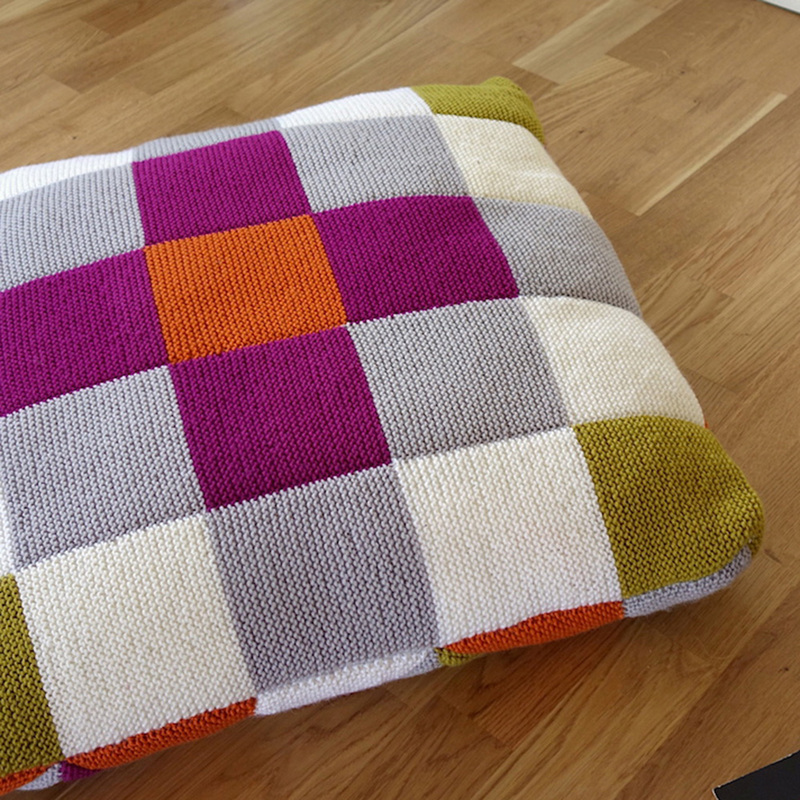 This is Anna's Ugly Blanket which has been worked in a variety of colours. I love that name! It stems from an initial impression of some left-over yarns as they looked so unpromising when all mixed together in their basket. However, Garter Stitch came to the rescue and blended them perfectly in the finished blanket! Garter Stitch has several other qualities too. Firstly, it is a reversible pattern, meaning that both sides look good so you don't have to choose which side is the "Right Side". In fact, it is one of those rare species: a truly reversible stitch, so both faces are identical. One result of this reversibility is that Garter Stitch lies flat. I have written about this here and here, but to recap: knitwear has a tendency to curl when one side has more purl "bumps" than the other. The purl stitches push outwards and the result is a curl in the finished item. Sometimes this is desirable, such as when you want to make an easy roll-necked sweater. However, usually it is not a good feature. Garter Stitch is perfectly balanced with exactly the same number of purl "bumps" on both sides, so lays absolutely flat. This quality can be used for items that need to be level, such as rugs and hot pads. For example, in Anna's Quilted Hot Pads above, a T-shirting yarn has been used to make a pad with raised stitches over a Garter Stitch base giving a perfectly flat, insulated layer for your saucepans. Another quality of Garter Stitch is that it tends to push out widthwise so can hold other designs open. In the Quilted Hot Pads, this is important so that the insulating ribs of the stitch are held securely in place. In other patterns, small sections of Garter Stitch can be used to give warmth and texture to a design. I will come back to that next time and see how panels of Garter Stitch can be used in a baby blanket. 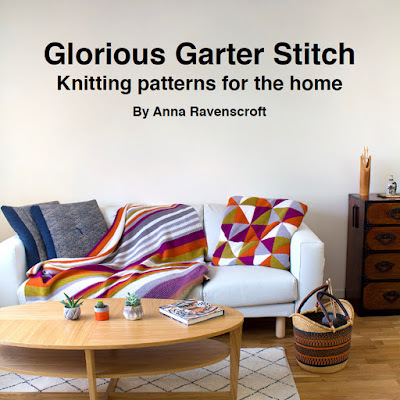 Meanwhile, if you have enjoyed seeing some of Anna's wonderful explorations of Garter Stitch, then please visit her website and read more about her new E-Book, Glorious Garter Stitch. 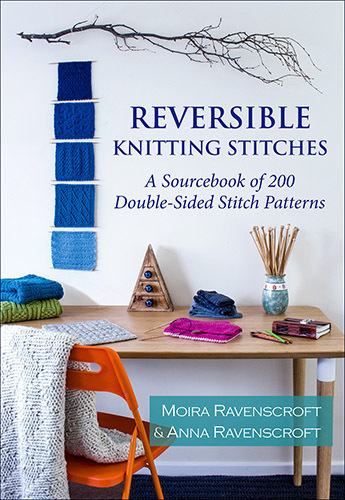 And if you would like to have your own copy of our book, Reversible Knitting Stitches, then please click here.